Since starting this blog I’ve been pleasantly surprised at the number of visitors I’ve received which at the time of writing stood at well over 26,000; since then it has more than doubled. I wasn’t expecting anywhere near this number. Another surprise has been the number of comments received, many of which have been helpful to visitors in tracing family members etc. But the most pleasing result has been the number of emails I’ve received, some from friends I knew long ago when living in Pontypool. Many of those emails are private of course so don’t get put on the blog. A few days ago I even received a phone call from a lady living in Canada who’d bought my book when visiting relatives over here and wanted to say how much she enjoyed it. Just a reminder that my email address is: david.hughes43@ntlworld.com. If you would like to be emailed whenever a new post is added you can do this by clicking on the “+ Follow” sign at top right of the heading of the blog. This is relatively new but quite a number of visitors have already done this. Finally, if the memory of any old friends need jogging (as mine does from time to time) I append below a 1947 photograph. I won’t scare you with the latest version ! and fell into the River Monnow. It was a 20 foot drop. which the driver had to negotiate. Here it is possible to see how narrow the road is. The left hand side of the Red & White bus is almost touching the wall. TRAGIC PEAKES’ COACH ACCIDENT. TWO MEN KILLED. I am indebted for this blog post to Monty Dart of Newport. She is writing a book “Who Killed Dripping Lewis?” the story of the unsolved murder of William Alfred Lewis, of Plasmont House, Conway Road, Pontypool on 22nd May 1939. Monty is planning to publish her book in about September next year. When I receive confirmation of the publication I shall publish full details on this blog. 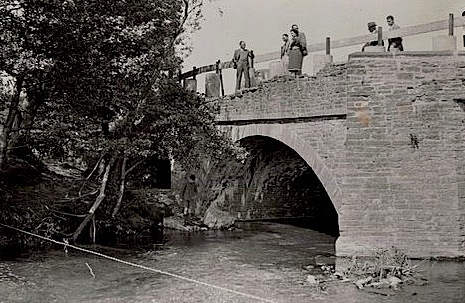 One of the chapters in the book deals with the Peakes’ coach accident on 29th May 1939 when one of their coaches plunged into the River Monnow. The following is not the whole chapter but just a taster from the book. “The injured were taken to three different hospitals – at Abergavenny: Ernest Horsman, 28, Chapel Lane, Pontypool aged 26, shock and a cut forehead. James Whelan, 2 castle Road, Pontypool, aged 43, concussion and abrasions. Alfred Williams, 7, Bunkers, Blaenavon aged 64, cut head and bruised ribs. James Evans, 2, Long Row, Upper Race, Pontypool aged 78, cut head, shock and concussion. James Morgan, 11, Chapel Lane, Pontypool aged 55, cut head and bruised face. “At Hereford : William Trinder, 9, Nicholas Street, Pontypool, Gwilym Morgan, 4, Forge Road, Pontypool, Edgar Pinney, 8, Chapel Lane, Pontypool, Alfred Groves, Coedcae Place, Pontypool, Charles Pinney, 2, Clifton Place, Pontypool, Ivor Newman, 15, Coedcae Place, James Rosser, 18, Park Crescent, Penygarn. Ivor Newman, Alfred Groves and Gwilym Morgan are the most seriously injured. “At Pontypool: John Purchase aged 76 of Chapel Yard, High Street, Pontypool, shock, lacerated eyes, ear and face. Thomas Waite, aged 29 of Edward Street, Pontypool, leg injuries and head lacerations. Ivor Morgan, aged 45, Mountain View, Pontnewynydd, concussion and cut lips. Ernest Evans, aged 45 of Crumlin Street, Pontypool cut on forearm and head. “In addition five men were taken to Pontypool Hospital but were discharged after treatment – Harold Loveday, aged 30 of Edward Street, Pontypool, James Matthews aged 41, New Houses, Coedcae, Pontypool, John Rutter Welsh aged 36 of Forge Row, Pontnewynydd, William Thomas aged 29, Ivy Cottage, Chapel Lane, Pontypool. “Ambulances were called to the scene but by the time they arrived many men had been taken by passing cars to the various hospitals. “Henry Whitcombe lived with his son and daughter-in-law, Mr and Mrs William Whitcombe and their four children. His wife had died a year last September. He died from a fractured skull. He was buried at Panteg Cemetery. “Elwyn Palmer is reported to have bled to death after glass had pieced his armpit. He died twenty minutes after admission to Hereford Hospital. Palmer had played rugby for a number of teams since the age of twelve, when he was a member of the first Panteg Wern team to win the Schoolboys’ Cup. Later he played for St James Rugby Team, for Newport Harlequins, and latterly for Cwmbran. 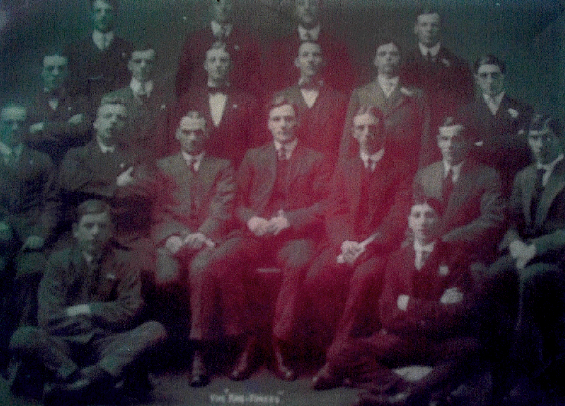 Mr Palmer was the second of three sons of the late Mr James Palmer and Mrs Palmer of 2, Wren’s Nest, Pontyrhydyrun and has three young sisters. He leaves two young children a little girl aged seven and a boy aged two. He had been driving goods vehicles for around thirteen years and had recently been awarded a Road Safety Diploma. “The inquest held at South Herefordshire heard from the first witness on the scene, Mr Thomas James Watkins, of Hereford who said there were patches of fog around at the time. As he approached the bridge he saw a man in the middle of the road, running towards him waving his hands. Mr Watkins continued: ‘I pulled up, and the man, who was covered in blood, told me that a bus had gone into the river. I got out of the car and saw what had happened. It is impossible to describe the scene, it was ghastly, injured men lying all over the place. The top of the bus and side had been ripped off and the only way to get to the vehicle and help the men, who could not help themselves was by climbing along a tree, which had been knocked down and was lying on top of the bus. At one time there were as many as twelve buses and cars on the scene, playing their lights onto the wrecked vehicle, while the rescue work went on. One of the first to know of the crash was Mr L. Crump, a farm worker of Grosmont Hill. He was reading in bed when he heard a tremendous crash. He could hear men’s voices in the distance, so he dressed and ran to the direction of the bridge. 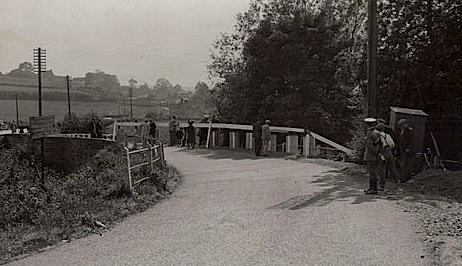 ‘The bridge was a danger spot’ he said ‘and has been the scene of a number of accidents. I could hear men’s voices in the distance. I could hear a lot of noise but I couldn’t understand what it was. “The Coroner said that it was very difficult for the people at the scene to treat so many cases, particularly as they had to work in the dark. All of the passengers had been immersed in the river, their clothes were saturated and it was difficult under the circumstances to ascertain the injuries to each man. “Mr Garfield Lewis, High Street, Pontypool, a boiler fireman at Pontnewynydd Works, a member of the party escaped with bruises and shock. The coach he said, had been on an outing to Worcester. They left Worcesster around 6 pm and made a stop of a few hours at Hereford. They left there about 11pm. Originally he was sitting in the back of the bus but had moved to a seat in the centre shortly before the accident. ‘The first thing I knew was that I went up in the air and my head hit the top of the bus. Then I was aware of water swirling around my legs’. He managed to crawl out of the coach unaided. Although dazed and shaken, he kept his head, stood by the coach and did what he could to help others. ‘One man,’ he said ‘was partially submerged. He was an elderly man. I got hold of him by his coat and held his head out of the water. The trouble was, we didn’t know where the road was or where we were. 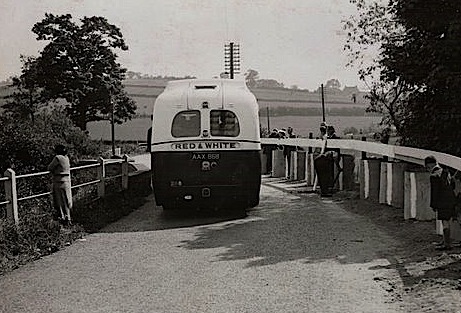 The interior lights of the bus were still on.’ Some of the men managed to climb up the bank. A car that passed the scene contained Charles Prosser of Pontypool and Frank Broderick of London. Amazingly, they both knew Garfield Lewis and gave him a lift back home. Another passenger on the bus Mr William Thomas of Ivy Cottage, Chapel Lane, Pontypool a labourer at Glascoed said ‘The coach was travelling at a very moderate speed. Before we realised what had happened we found ourselves up to our waists in water. I don’t know if the coach was on its side or on its wheels when we landed in the river. We all did our best to see everyone was alright. I think every one of us was submerged at one point.’ Mr James Matthews aged 41, a Blaendare miner had X-rays for a rib injury. He said that after the accident they had to climb up a high bank to get out of the water. ‘I had a hard smack on the forehead but I don’t know what I struck,’ he said. “Mr Charles Vernon Jenkins, who lived in the same house as James Purchase, revealed that he almost went on the outing instead of Purchase. It appears that having bought the ticket Mr Purchase began to have ‘cold feet’ about going on his first ever coach trip and had tried to sell the ticket. From my own point of view this account proves that my post “Accidents, Fatalities and Diseases” had an error in it. One paragraph referred to Elwyn Palmer having a coach accident on the Crumlin Road. Because of the above evidence, this is obviously incorrect. There was an accident with a bus on the Crumlin Road about this time but it was, obviously, not the one in which Elwyn Palmer was the driver. My apologies for that error. Over a period of 70 years the memory can let you down. It is equally strange that my friend Eric Smith was also convinced that our neighbour, Elwyn, had died on Crumlin Road. We well remember the tragedy of Elwyn’s death but it obviously occurred near Worcester. We must both be wrong. Ragtime music was at its peak between 1897 and 1918. 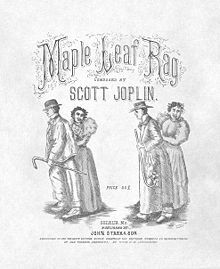 The main characteristic of this genre was its ragged or syncopated style. It started life in America in such cities as St Louis and New Orleans. It was a mongrel type of music produced by Sousa’s marches and African music. Here is a copy of the cover of the sheet music published at that time. Bearing in mind what I have said above, Harold’s estimate of the date – 1916 – would appear to be about right. If any visitor can shed any light on the Ragtimers, and if anyone can identify any of the group I’m sure Harold will be interested.